Thermax have supplied Hot water driven chillers to the Fumincino Airport in Rome, Italy. The total installed cooling capacity is 8 MW and is driven by hot water coming from heat rejected by three gas turbines of 8.5 MWe each. The licensing Authority in UK use Thermax direct Exhaust gas chiller to generate chilled water to take away heat from the license printing machines and also for air-conditioning the new office building. A biogas driven Fuel Cell of 250 KWe supplies electricity to a T mobile data centre in Munich, Germany. 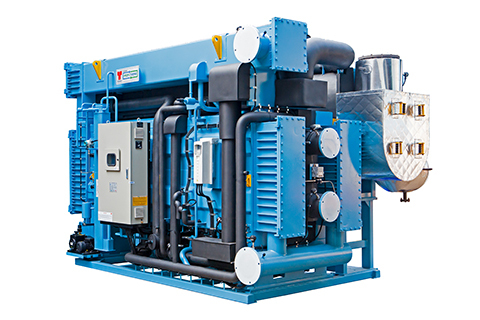 The waste heat from the Fuel Cell in the form of Exhaust gas at 380 deg C is directly fed to a Thermax Absorption chiller to deliver 150 kw of cooling. Thermax absorption heat pumps and chillers are used in projects for district space heating and cooling in Scandinavian countries, Denmark and Sweden. 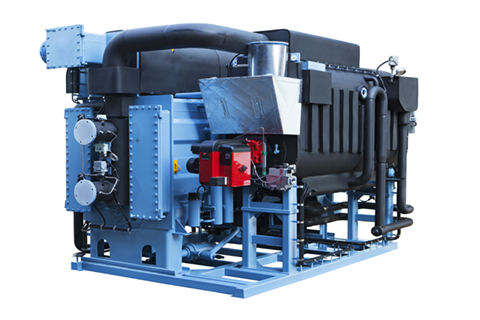 These chillers are available in low, medium & high temperature driven modes. Hot water fired machines are used for process cooling, industrial & comfort air-conditioning. These chillers are available in single effect and double effect modes. Here, the source of heat is saturated steam at pressures in the range of 0.5 Kg/cm2 to 10 Kg/cm2. 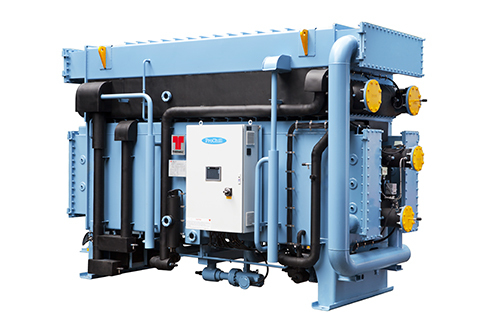 ECOCHILL NXT chillers are available in the range of 160 - 4000 kW cooling capacity, and uses a variety of liquid or gaseous fuels to drive the vapour absorption cooling process. 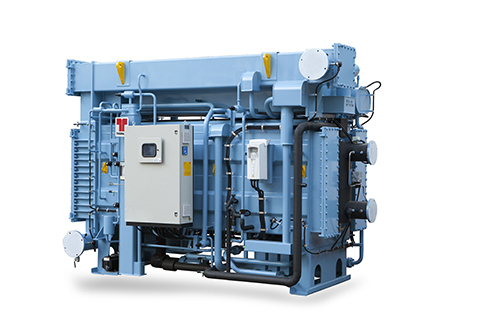 These chillers are available from 100 - 12000 kW cooling capacity, which utilises waste heat as engine exhaust and coolant, making air-conditioning almost free of cost. Thermax Europe is actively engaged in offering solutions in heating and cooling, using absorption technology and boilers. It also provides ion exchange resins, for water and process applications and after-sales support.